London is one of our top city destinations for private jet charter travel. There are plenty of aircraft options for hire in the area as well, with over 18 airports within a 50 mile radius of Downtown London. 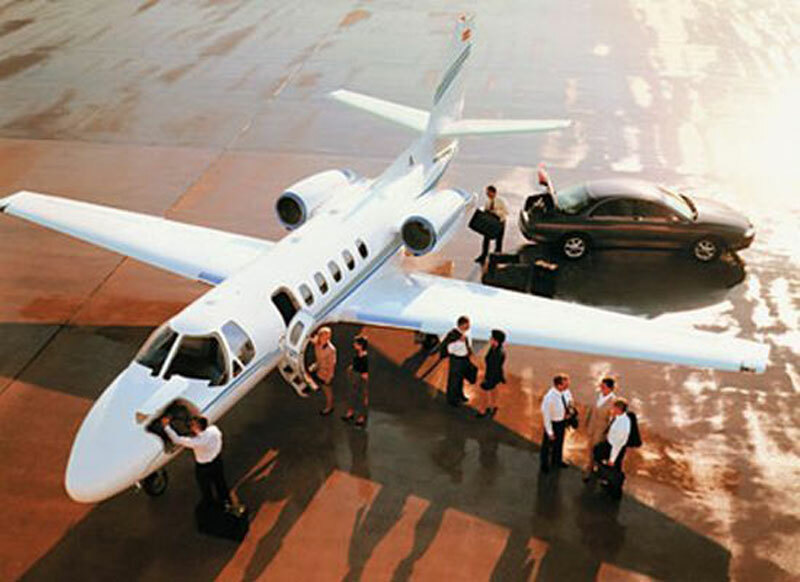 The most popular airport for executive jet travel is Luton Airport (LTN), located 27 miles northwest of Downtown London. We have access to over 151 private jets in the area and 132 of those planes are newer than 2000 (YOM). The most popular aircraft types in the area include very light jets (Phenom 100 and Citation Mustang), light jets (Citation 2+, Citation CJ3, and Citation Bravo), super light jets (Learjet 45XR, Citation XLS), midsize jets (Learjet 60XR, Hawker 800XP, and Hawker 900XP), super midsize jets (Citation Sovereign, Challenger 300), and large jets (Falcon 2000EX, Gulfstream GIV). In addition, there are plenty of turbo prop aircraft options such as the Fairchild Metro 23 and the King Air 350. For VIP airliner travel please call us and we will find the best positioned airliners for luxury and cost effective air travel. London, with its fascinating history and rich cultural heritage, has always been one of the world's most popular tourist destinations. London is one of the world's greatest cities with New York, Tokyo, and Paris. London is a very beautiful and exciting city filled with historic sites, magnificent palaces and castles, fascinating museums, art galleries, and concert halls, beautiful parks, and fantastic amusement attractions. Popular tourist attractions in London include the Big Ben, Westminster Abbey, Buckingham Palace, London Eye, Thames River, Tower of London and Tower Bridge. There are lots of green parks around the city including Hyde Park, Kensington Gardens, Hampstead Heath, Regent's Park, St. James's Park, Greenwich Park, Green Park, Holland Park, Clapham Common, Richmond Park, and Bushy Park. Museums in London include the British Museum, National Maritime History, Tate Modern, National History Museum, National Gallery, London Transport Museum, and Museum of London. Steeped in rich history and offering a wide variety of things to see and do, London attracts millions of leisure and business travelers from around the globe. London is served by London City Airport (LCY), along with London Heathrow Airport (LHR) and London Gatwick Airport (LGW).